High performance mat retains water. Minimize the risk of slips and falls. Hides dirt and keeps entrances clean. Thermoflex™ vinyl backing offers superior floor protection. An elegant first impression. Easy to clean and maintain. Slip-resistant, smooth thermoflex vinyl backing. Beautifully designed—a combination of performance and appearance like no other wiper! An elegant solution for a good first impression. 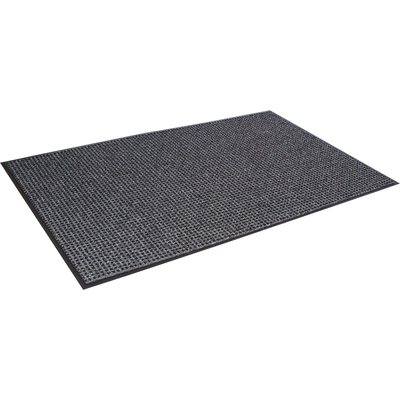 High performance mat retains water and minimizes the risk of slips and falls. Heavyweight loop pile mat that exceeds performance. Attractive pattern hides dirt and keeps your entrances clean. Thermoflex™ vinyl backing offers superior floor protection. Use in indoor medium to heavy traffic areas.